Valley Street in the heart of Carlsbad school zone is closed from Magnolia north to Chestnut this morning (April 1, 2011) after Carlsbad Police responded to reports of a disturbance and found a man’s body in a detached garage at a home on the east side of Valley just north of Brady Circle at around 1 AM, according to NBC San Diego. San Diego 6 has reported that the man died as a result of a stabbing. A possible suspect vehicle is described as a silver single-cab pickup truck with palm trees in the bed and as many as three people inside. . . Police have been called to the same address on Valley Street before. In August, a police report was filed on domestic abuse battery charges. Juan Rocha, a 20 year old who reportedly alternated between homes in Carlsbad and Oceanside was arrested in the early hours of Tuesday, March 29, 2011 in a Greyhound bus station in Indianapolis, Indiana and has been charged with murder and “gang allegation” in the death of 27-year-old Oceanside resident Devin Allen, according to a story on San Diego 6. Detectives identified Rocha . . as the alleged killer based on witness statements and clues at the scene of the slaying, Sgt. Mickey Williams said. The sergeant declined to disclose the nature of that evidence. Rocha is being held on $5 million bail while awaiting extradition to San Diego County. The Carlsbad Police department obviously did some quick work in the case. The Carlsbad 5000 already? It’s true. On Sunday, April 3, 2011 thousands of runners will join former winner Aheza Kiros, of Ethiopia and US Olympians Christin Wurth-Thomas and Jen Rhines in a ground-pounding trot through Carlsbadistan in what is considered the world’s fastest 5K run. When we heard the helicopter heading toward Barrio Carlsbad on Friday, March 25, 2011 around 11 PM we rolled through our list of previous coverage. Was it a shooting, a police chase, or a combination of the two. When one of our readers tweeted us later saying the helicopter had actually landed at Chase field we began to understand that it was serious. As we all learned later, Devin Allen, a 27-year-old Oceanside resident, had been stabbed to death on the way to his car after leaving Hensley’s at around 10:40 PM, according to NBC San Diego. The stabbing occurred near the corner of Harding St. and Carol Place. Allen and his friends were walking back to their car when two men reportedly came up and asked if they any cigarettes then stabbed Allen in the abdomen. According to the San Diego Union Tribune Allen was transported to Palomar Hospital where he was pronounced dead. Carlsbad Police are asking anyone with information to please call (760) 931-2115. On the evening of April 4, 2009, Juan Carlos Balderas, 21, of Encinitas was found shot dead in an empty lot on Madison Street in Carlsbad. 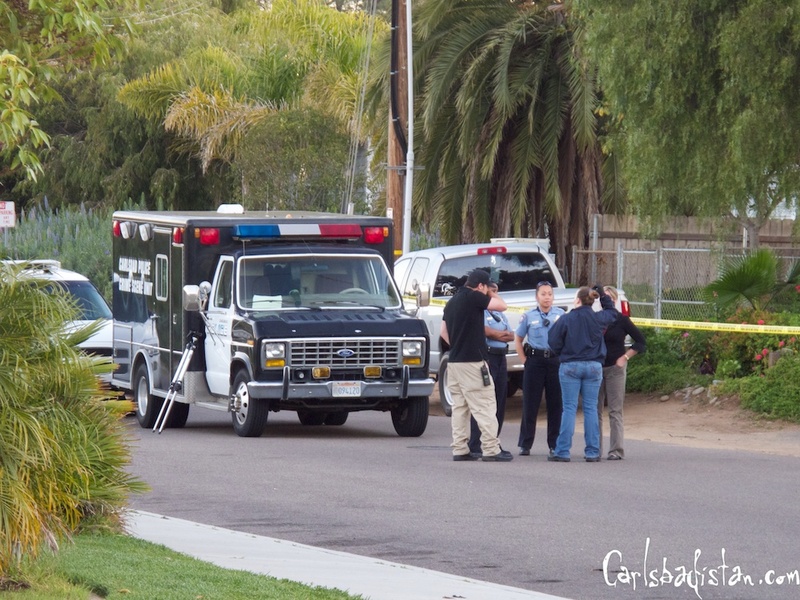 It appeared that an Encinitas gang member had been shot in Carlsbad. But when police arrested three other suspected Encinitas gang members for the crime the question arose: why would Encinitas gang members come to Carlsbad to shoot one of their own. A story in today’s San Diego Reader, Revenge — Served Cold in Carlsbad, tells of the downside of gang retaliation. Read it and you’ll understand. Add this to the long list of things we didn’t know about Carlsbad City Councilperson Ann Kulchin: for the past 20 plus years Kulchin has served on the board of The San Diego Service Authority for Freeway Emergencies. Interesting no? 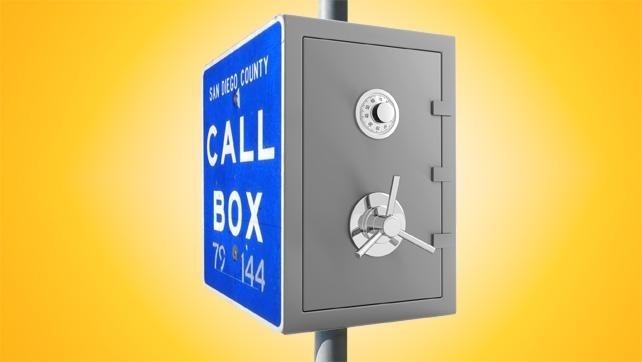 The board, which controls a budget created by a $1 tax that is added to every San Diego County vehicle registration ($2.5 million a year), was created 1986 specifically to install and operate roadside call boxes. Now that most everyone on the road has a cellphone the boxes don’t get much use anymore. This has left SD SAFE with quite a lot of money to spend on things that aren’t exactly roadside call boxes. And according to a story by SD City Beat writer Dave Maass, Ann Kulchin gets a pretty free hand in deciding where that money goes and there are some who don’t exactly agree with how the money is being spent. Follow the link for a few concrete examples of how the good ol’ boy/girl network functions in San Diego County. A sanitation worker was killed yesterday (Monday, March 21, 2011) at approximately 10 AM when the truck he was driving ran him over, according to a story on San Diego 6. The fatal accident in the 800 block of Bluewater Road was reported shortly before 10 a.m., Lt. Marc Reno said. . . The victim, whose name was withheld pending notification of his family, suffered severe injuries to his torso and died at the scene, according to Reno. If you saw anything, please contact the Carlsbad Police Department. Our thoughts are with the man’s family and friends. On Friday, March 25, 2011 Carlsbadistan’s Museum of Making Music will present a documentary film The Wrecking Crew, by Denny Tedesco. In the early to mid 1960s artists such as The Beach Boys, Jan & Dean, Sonny & Cher, The Byrds, The Righteous Brothers, Nancy Sinatra, and the Fifth Dimension, topped the pop charts with songs like Up, Up and Away, Little Old Lady From Pasadena, Cherish, These Boots Are Made for Walking and Good Vibrations. . . 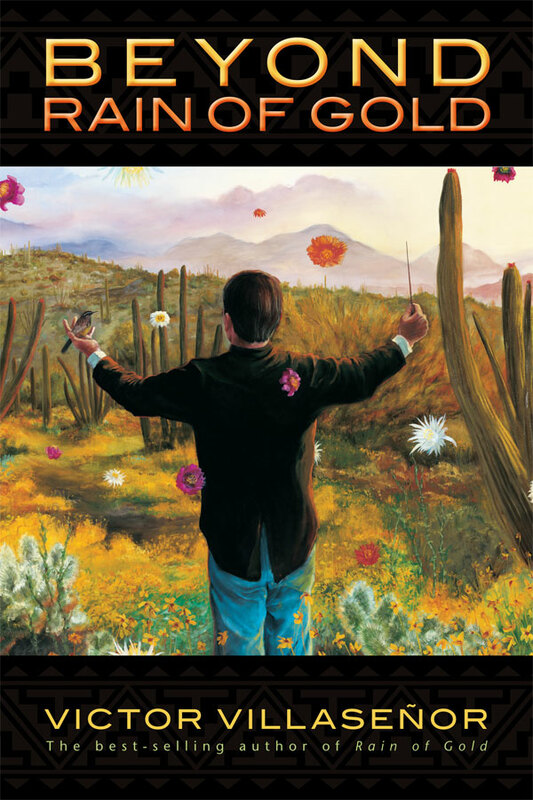 It was known as the West Coast Sound, and the artists who sang these songs are household names, but the musicians who performed those hits were virtually unknown to the listening public and remain so today. Check out the film Friday night and be enlighteded. Carlsbadistan’s Agua Hedionda Lagoon Discovery Center is hosting World Water Day 2011 on March 26, 2011. This event will feature the SPLASHMOBILE (hands on science fun), SeaLife Aquarium’s Underwater Habitats, Native American Storytelling, children’s craft booths and facepainting, live critters from Kahoots, H2O Trash Patrol, Carlsbad Desalination Project model, Hubbs-Seaworld Fish Hatchery exhibit, Wetlands and Watershed models and maps, Nika Water, Native Garden Tours and water conservation info. Rain barrel raffle! Food, fun, and much much more! 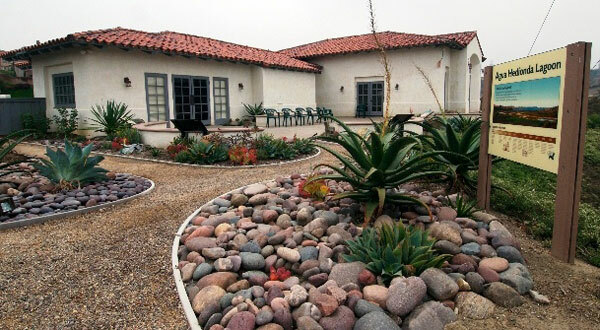 World Water Day begins at 11 AM and will feature appearances by Supervisor Bill Horn and Carlsbad Mayor Matt Hall. That’s the part we’re really looking forward too. For more info, click the link.